Soputan Mountain, The Sulawesi Volcanos. 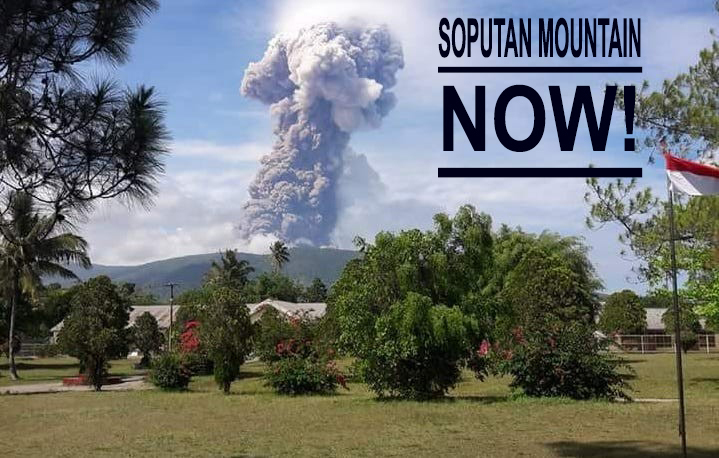 Home › Info › Mountain › Palu › Sulawesi › Soputan Mountain, The Sulawesi Volcanos. Every place in Indonesia except Kalimantan (Borneo) was surrounded by the path of active volcano or as know as The Ring of Fire. Still in the topic of Tsunami and Earthquake in Palu and Donggala. Near of them in North Sulawesi has Active Volcano. It is Soputan Mountain. based on wikipedia This Mountain is a volcano located in the province of North Sulawesi, Indonesia. This mountain was formed during the quarternary on the southern edge of the Tondano caldera, and is one of the most active volcanoes in Sulawesi. It has been recorded that an eruption has occurred quite often in a span of several years. Mount Soputan is about 50 kilometers to the southwest of the city of Manado and is about 12 kilometers northeast of the city of Tombatu, Southeast Minahasa district. And Jalpeders now we can just praying for the best to our friends in there and may God bless them now and forever, because a few days ago the Meteorology Climatology and Geophysics Council (BMKG) was detected the lava activities in there. So Keep support our friends in there by your money if you have then spend it for them or by other things which it can be useful for them. Related : soputan volcano, soputan eruptiom, palu, donggala, sulawesi.